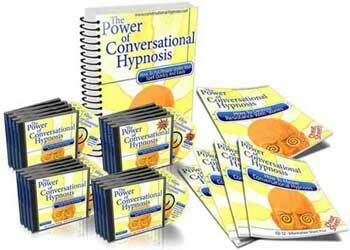 The state of mind in Conversational Hypnosis is really at the forefront of the battle you are beginning. In order to have a positive outcome from your hypnosis you must get the person you are working with to access a pure and clear state of mind that involves the emotion you are targeting to react to an emotional trigger. One of the ways to do this is to intensify the state you are using in each different session. Intensifying the state of mind for your subject is really going to help them in many different areas of their hypnosis. It will also greatly improve your abilities as a hypnotist. There are several different reasons why you would want to intensify the state of your listener. To start with you can use intensification in the change moods not mind concept. The more intense you make the mood they are experiencing the more dramatically they will change their course of thinking. This is helpful because the reason for changing moods in the first place is because it allows the mind to follow without interference of the critical filters. This alone is a reason for needing to know how to intensify a state and is a big step when getting a person into a different state of mind. States of mind are similar to different rooms in a house. In each room you keep certain stuff and you are only able to access that stuff when you are in that room. The mind works much in the same way. Different states of mind will allow you to access the different memories, experiences, feelings and definitions that are associated with that state. If you do not have a pure and clear state of mind you will have limited access to the stuff you need for that experience. Now intensifying the state of mind comes in as a big help because the more clear your subjects state of mind is the more efficiently your triggers will be implanted. As we all know by now the emotional trigger is a very important step to accomplish as it will eventually lead to the changes the person wants to make in their life. The more you can amplify and intensify the state of a person the more powerful your suggestions will end up being. So let’s get down to it, how do you work on intensifying the state of a person in order to help in hypnosis? One of the first ways is to intensify the response you are getting from your subjects. It is important to know how to intensify this response in order to be accessing a state that is strong enough for you to spend time setting an emotional trigger to. There are basically four techniques to make a response more intense. These concepts can be used together or separately and it is important to know how to use your basic hypnosis knowledge before wading into these four concepts. Some of the skills you will want to be practiced at before hand are first to realize that some people have a much easier time getting into states than others. This is important to know simply so you are aware that getting in and out of good clean states may take practice for some people. Another tool you will need to be working well with is the absorption of attention. You need to make it your responsibility to have their complete attention locked in to access a clear state. After all there is no need to intensify a state that will not be useful and the better the state the more useful it will be to you and your subject. The more attention you have from them the better they will be able to access the state you are looking for. That in turn means you will be able to set a more proficient trigger. Now you are ready to get into how to intensify a state. The first way to do this is a simple concept of direct suggestion. This is very easy; you simply suggest directly that they intensify an emotion. This can be done with many different principals you have learned including the piggy backing of suggestions, hot words, linguistic bridges and trance words. You can put all these things, ideas, together to make a direct request to intensify a feeling. The more they notice and pay attention to the feeling you wish to make more intense the more this will take place unconsciously. Keep in mind you are not going to be telling them what experience to have this will take place as a result of you telling them to intensify a feeling. This is a simple suggestion that can be done very directly or less directly and smooth depending on the person you are working with. The second way to add intensity to your hypnosis is to layer emotional triggers. By laying different emotional triggers, one right on top of the other, you will be taking the intensity level to a new high for your listener. Two ways to do this, the first is to start with all the different emotions your listener has in the experience and start to set triggers to each one individually. After you have done that you can combine them all into one trigger and you will end up with a nice array of positive states being set off by one trigger. Another way to do this, a much simpler way, is to layer your emotional triggers to access different experiences each of the same state. This may sound complicated but it is really quite simple. Start by going first, tell a story that involves the state you are wanting to access. Then as you hit the climax of the story set a trigger. After that you will ask your listener to relay a similar experience, you will then revivify it for them and as they enter the experience of revivification you will set your trigger again. In this example you have doubled the emotional impact of that trigger as there are now two different experiences associated with it. Think about the power this can have if you continue the loop five or six times. The third technique for adding intensity is to use modular enhancers. These are non-verbal ways to intensify and experience. They use things such as tone, gesture, body language and facial expressions to imply a suggestion. Tone is a big one here as you change the tonality you use it will send signals to intensify an experience. You can use this skill with any of the senses, experiment with it and see how you can intensify things with the non-verbal actions listed above. The final technique for increasing intensity is to control the inner pictures the listener receives. In this concept you will take hold of all the senses in the stories and amplify them to make them more real. Use statements that imply or ask them to make things more focused, bigger, brighter, sharper, louder, and more vibrant. The idea here is to be sure to build up every sensation and sense that is in the experience. These include sounds, smells, physical touches, taste, sight and emotions. There are two ways to accomplish this; directly tell them to do it with detailed instruction or combine the amplifications into your story as if they were a part of the story itself. In this technique you can use gestures to assist you in getting the point across, this helps as it creates the sense for you and you begin to go first as you tell the story. All these things will give you the skills in how to make a thing more intense. Make sure to keep in mind that these are powerful ways to access states and be positive when you are working with them as they intensify emotions as well. Now go forth and be intense!